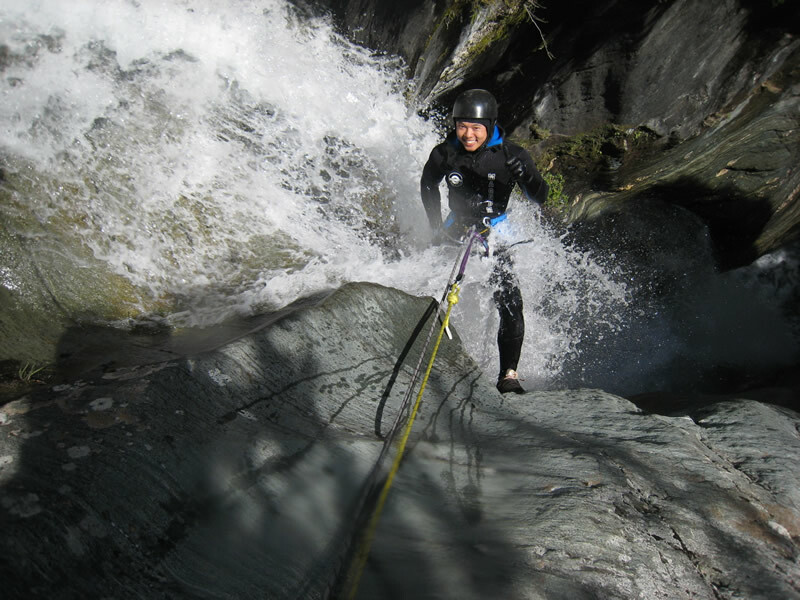 Deep Canyon canyoning adventures are a journey unlike any other. Get in touch with a special natural world and see beauty you’ve only dreamed of. From the raw power of strong waterfalls to the tranquility of deep, forested pools, from sculptural rockscapes to glowing green moss droplets, you will be immersed in a world you never knew existed. And talk about fun! Challenge yourself in ways you’ve never imagined. Plunge down water polished chutes and abseil down waterfalls. Jump off cliffs! Climb, swim and float through an amazing world of water- sculpted rock, deep clear pools and spectacular waterfalls. We specialise in hands-on trips with a high level of personal satisfaction and our focus is strongly on good humour! Amazing places, interesting challenges, friendly people and Great Big Fun! 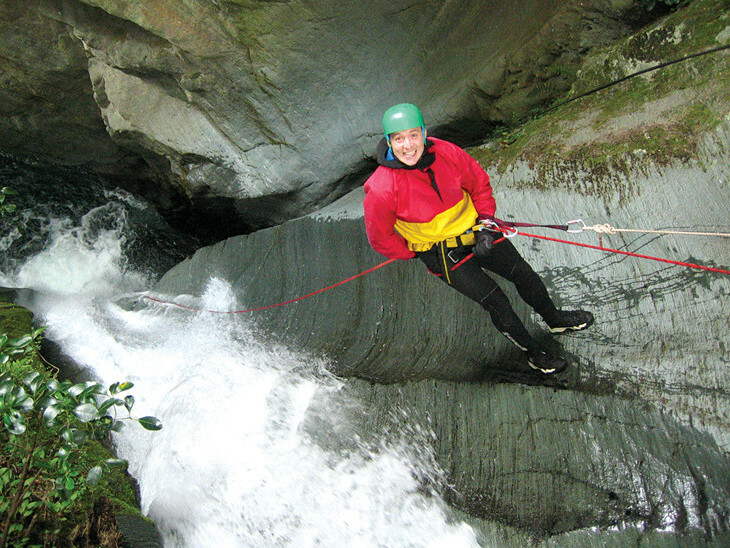 Deep Canyon, Wanaka is New Zealand’s premier canyon guiding company. We have been running canyon descents since 1994, the first in the country to do so. This season we look forward to our 25th anniversary. Our guides are very experienced and easy to get on with, not to mention super-keen! Our equipment and procedures are of the highest standard and our commitment to safety is absolute. This allows us to run maximum adventure/maximum fun trips in wild and fantastic situations. Our focus is strongly on personal satisfaction and good humour. Our guides are certified under the NZOIA* Canyon qualification framework [some guides may have further overseas based qualifications]. This is a New Zealand specific programme and Deep Canyon is actively involved in setting the standards for, and assessing on, the programme. Most of our guides are also qualified and experienced in other related outdoor activities. For this 2017/2018 season we have six great guides whose experience totals around 45 years of guiding and all of us get out there on our own adventures whenever we can! Deep Canyon season commences in October 2018. In October high water levels restrict where we can go. Typically we run Niger Stream and Big Nige and Imp Grotto as water levels allow. 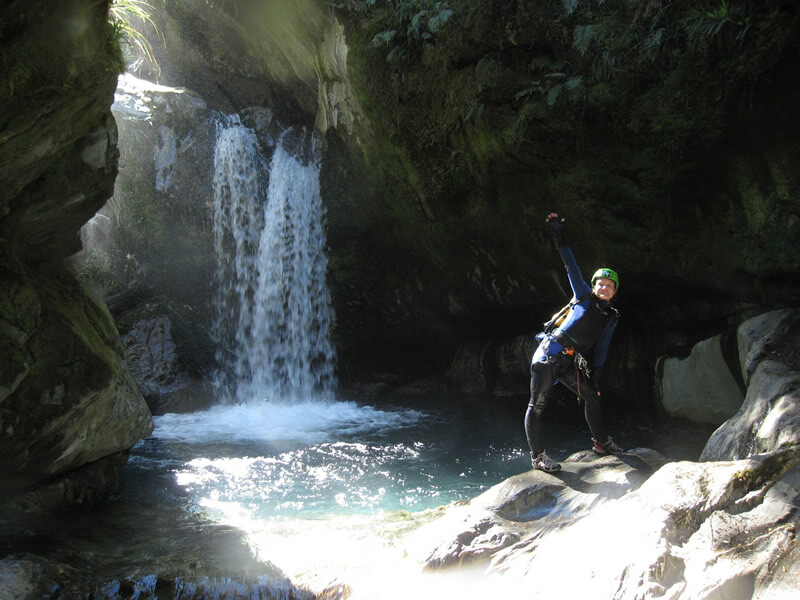 November conditions generally allow us to venture to other places in the Haast area such as Wai Rata and Cross Creek. December is a good time for the Leaping Burn and LB Max, Robinson Creek and Wilson Creek. January thru April is typically hot and dry and we can access Mill Creek and all trips are go. We operate all trips until mid April and Niger Stream and Big Nige until the end of April.